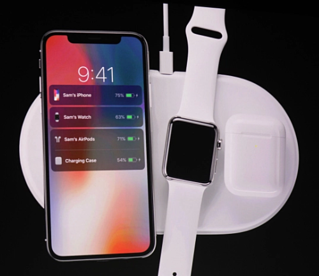 So, Apple announced their proprietary version of wireless charging! Fantastic! We, at Ossia couldn’t be more excited! As innovative companies like Apple, make strategic moves to leverage wireless power in mobile devices and wearables, the entire wireless power ecosystem grows stronger. This helps accelerate the adoption of wireless power in businesses and for consumer use. Ultimately, Apple is taking the initiative to educate the industry as well as generating demand for Real Wireless Power- and Ossia is here! It’s an exciting time for the entire wireless power industry. Wireless power, simply refers to power delivered without wires, and it’s important to understand that not all wireless power technologies -- or the way they are used -- are the same. As you consider wireless power for your business, think of the most important use cases. Apple is offering a pad charging solution, which at the end of the day, means you still have to relinquish your phone while it charges. What if you could roam the room, while using your phone or having it in your pocket while it is still receiving power? Real Wireless Power, Cota®, is the future of transferring wireless power over distance, while in motion. Antenna-based wireless power, comparable to WiFi or Bluetooth, can send power safely over a distance in a building or vehicle. This is what Ossia is excited to bring to market. So Congrats Apple! We are excited for the new iPhone!